One of my favorite ways to eat is to simply head to the market and pick out items that look fresh, tasty, and don’t break the bank (this week a particularly nice item was fresh Skate). Don’t get me wrong I’m not heading to the market every other day (like Nonna and Mamma did/do) but I usually reserve a mid week shopping trip to supplement my usually Saturday shopping trip. 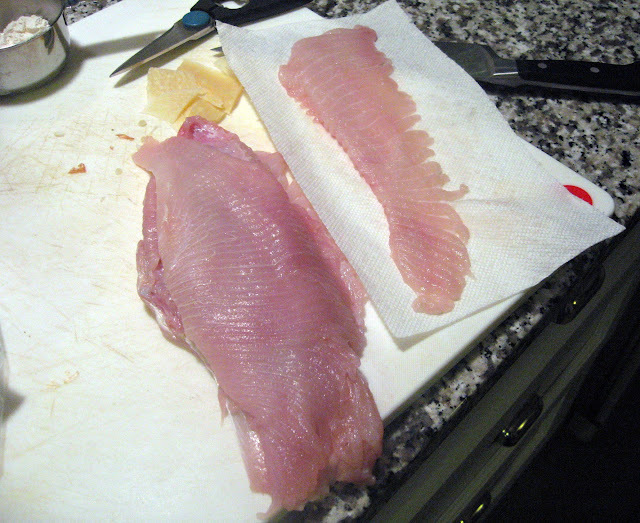 My mid week shopping trip last week yielded a wonderful surprise, namely, Skate for $7.99 per pound (or Skate wing). 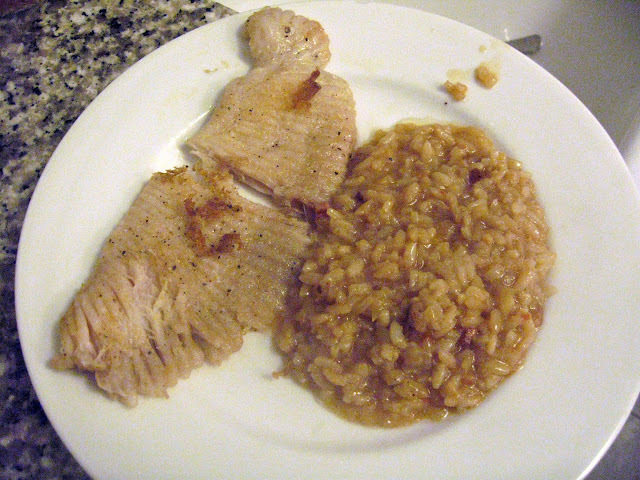 Skate has a wonderfully firm texture and tastes a lot like lobster. The fish is best prepared via pan frying and shouldn’t be overcooked. If you happen to find some of the fish in your local market ask the fish person if you can smell the fish and make sure sure it has a sweet / ocean like scent (if you smell ammonia or any other fowl smell don’t buy it; Skate spoils very quickly). A quick web search also shows Skate is “overfished” (as is Tuna, Salmon, and most of the world’s fish population) so if you have ethical concerns you may want to stick to tasteless junk like Talapia or not eat fish (the latter would be a difficult move). We prepared our skate with a light coating of flour, seasoned with salt and black pepper, and then quickly pan fried the fish in Giachi Extra Virgin Olive Oil. We added a bit of butter at the very end of the cooking process and made sure to spoon the hot melted butter over the fish in the pan (I felt like a French chef for a few seconds and almost hit my head on a block of stainless steel). Our risotto was made with Acquerello Riso Carnaroli; an organic rice produced in Piedmont. Acquerello Riso Carnaroli is also aged for one year (and at times two or three years as well) and the claim is that the aging process makes the rice less water soluble. 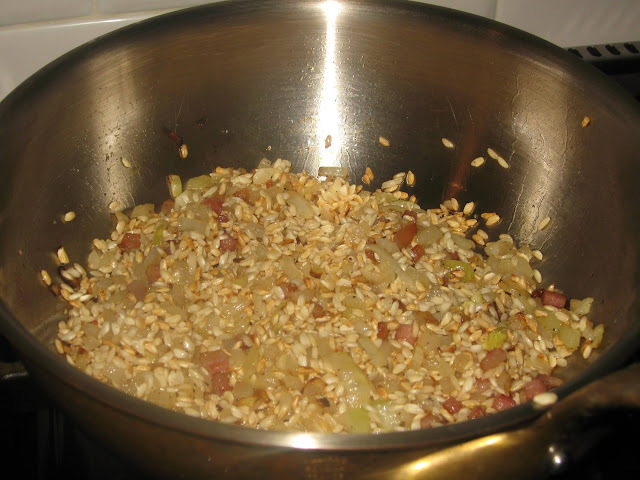 Moreover, the implication is that the rice can absorb more water or cooking liquid and yields a grain that is larger, firmer, and does not stick (all great qualities for making risotto). 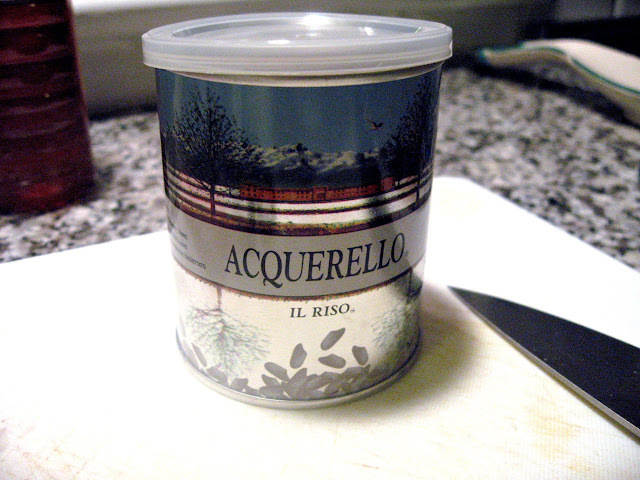 Acquerello Riso Carnaroli is produced by the Rondolini family on their estate, Tenuta Colombara. 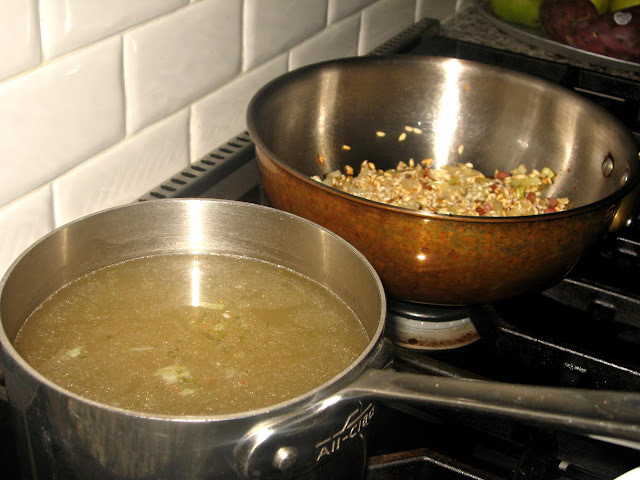 If you’d like to make the red onion and pancetta risotto simply follow our recipe for spinach risotto (obviously omitting spinach and including the thinly diced pancetta with the onion at the beginning of the recipe).